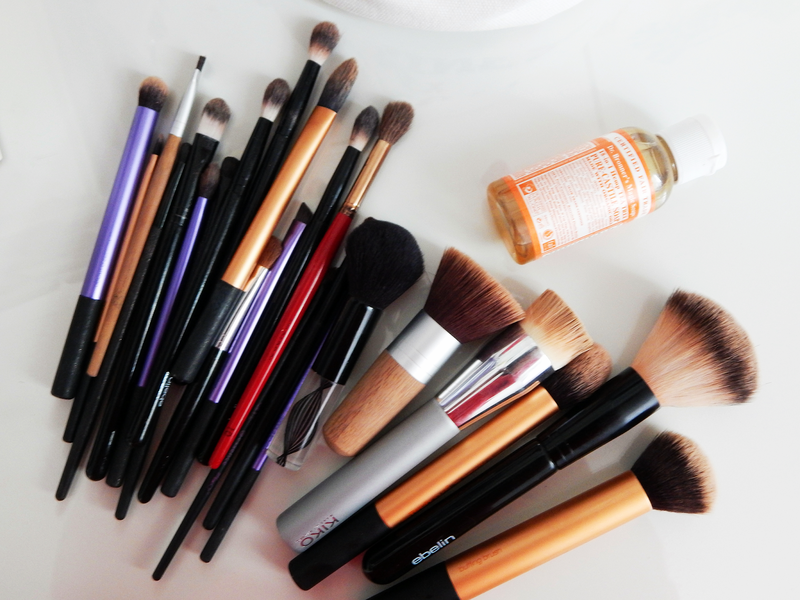 A quick post while I'm at work, and it's about cleaning makeup brushes! Yay! As you can see, I have a pile of dirty makeup brushes on my desk right now. Admittedly, I like to drag out the space in betweem deep cleaning as looong as possible, but it's officially time to get the dirt out of these brushes. To help me with that, I'll be using the Dr. Bronner's Magic Soap- there's various of different versions of this out there, mine is of course the one infused with tea tree. I've written about my obsession with anything tea tree in various posts before, so this really shouldn't come as a surprise. #1: Have some of the soap ready in your palm, get the bristles of your brush wet and swirl it into the soap in your hand until all the dirt gets out and your brush is clean- it's kind of like washing dye out of your hair, if the water is clean, the brush is clean. #2: Hold your brushes in an angle so that water only gets into the bristles, and not the bit in between the bristles and the handle. If a lot of water gets in there, the glue that holds the bristles together will dissolve and this will lead to a lot of shedding and will ultimately ruin the brush. 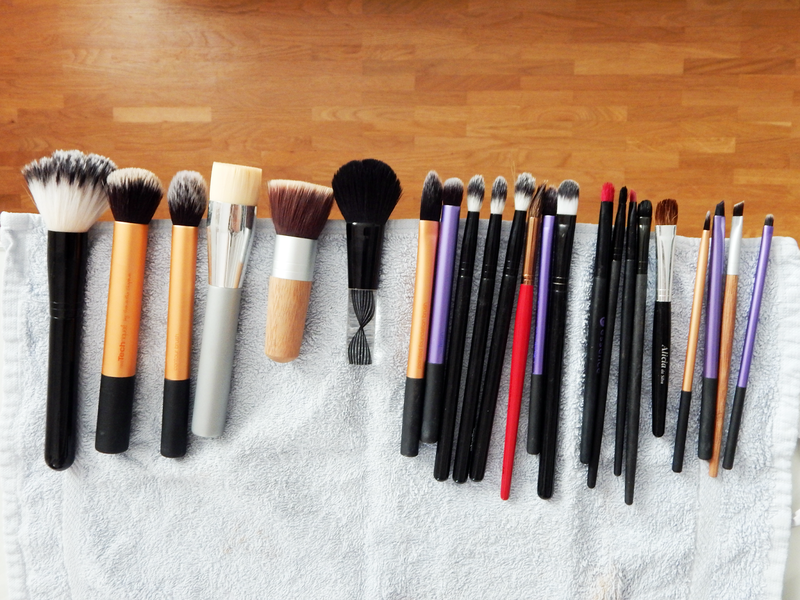 #3: Lay your brushes down on a towel to try- if you can, let them dry on a surface with the bristles tipped over the edge, so they can hold their natural shape while drying. 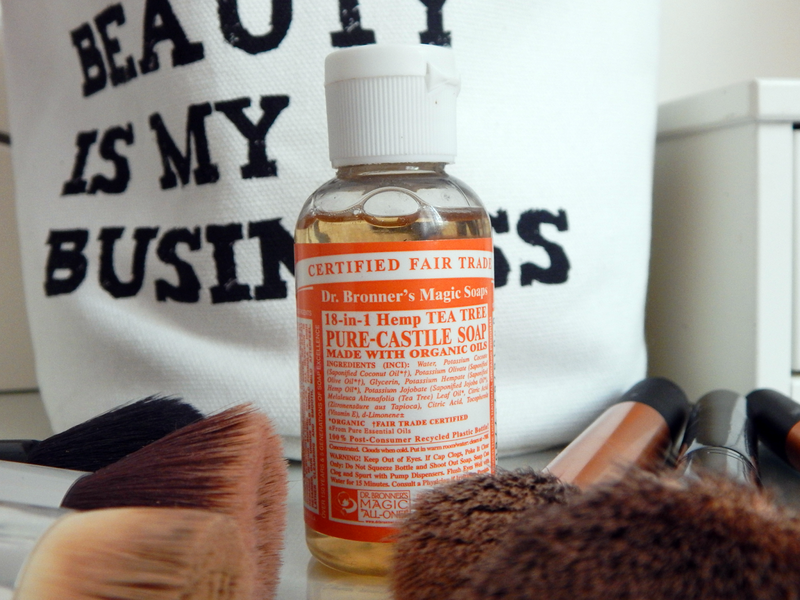 What's your favourite product/cleanser/soap to deep clean your brushes?